Move could expand trade debate during presidential race. 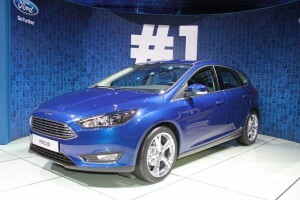 Ford's compact Focus is one of the small passenger car models moving to Mexico. Ford Motor Co. will transfer all of its small car production from the U.S. to Mexico, a move that follows on earlier plans to shift production of several passenger car models currently produced at a suburban Detroit plant. The move is likely to raise the ire of union workers, though investors appear to back the decision to trim production costs. The announcement also is likely to play into the ongoing presidential election, Ford already taking heat from GOP nominee Donald Trump for its earlier production decision. Over the next three years, “We will have migrated all of our small-car production to Mexico and out of the United States,” Ford CEO Mark Fields told automotive analysts during a conference hosted by the carmaker at its headquarters in the Detroit suburb of Dearborn. Last February, Ford revealed plans to more than double production in Mexico, a country that has been seeing rapid growth in its automotive manufacturing sector. A variety of manufacturers, including Nissan and Volkswagen, have expanded their own presence in the country, with a number of other automakers, such as Audi and Kia, setting up all-new production operations there. 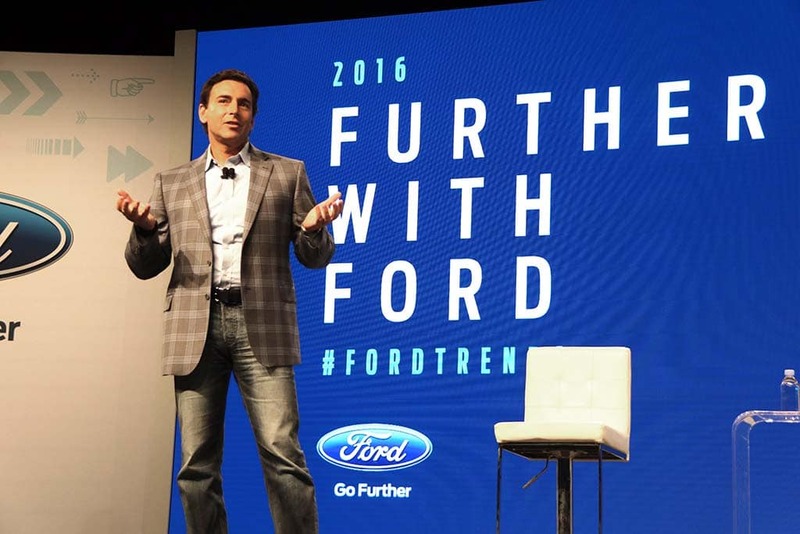 Ford CEO Mark Fields wants to shift not only production but Ford's broader strategy. Ford followed that announcement by saying it would transfer to Mexico production of both its Focus sedan and C-Max people-mover models, both leaving the Michigan Assembly Plant outside Detroit. That set off a tidal wave of criticism, Trump, in particular, declaring that he would move to block Ford from shifting production and penalize the maker if it didn’t back down. Trade and legal analysts said there is no clear mechanism that would allow a president to take such steps. And Trump’s critics questioned why the candidate focused on Ford and not the numerous other automakers moving to Mexico. Finding ways to cut production costs on small cars has become even more of an issue at a time when overall passenger car sales are plunging. 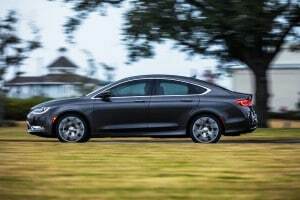 Sedans, coupes, wagons and hatchbacks accounted for barely four of every ten vehicles sold in the U.S. during the first half of 2016, and that share continues to decline. Fiat Chrysler is pulling the plug completely on its slow-selling Chrysler 200 sedan. The news isn’t entirely bad, however. In fact, the United Auto Workers Union put a positive spin on Ford’s earlier announcement noting that far from closing down, the Michigan Assembly Plant will be converted to build higher-priced, and often more labor-intense light trucks. Ford has not yet confirmed which model or models will go into the facility, however. The union’s President Dennis Williams has raised concerns, however, that were fuel prices to surge again, demand for pickups, SUVs and crossover-utility vehicles could slump. But industry analysts note that many of those models now get nearly as good mileage as comparably sized passenger cars, something that would likely mean less of a shock were gas prices to once again jump to the $4-a-gallon records seen several years ago. Ford is by no means the only automaker rejiggering its production strategy.”It’s something happening generally. It makes sense to build your higher profit models in your higher-cost plants,” said Stephanie Brinley, a senior analyst with IHS Automotive. Ford’s presentation to investment analysts touched on a wide variety of topics, including the announcement it made last month that it plans to introduce fully driverless vehicles by 2021, initially focusing them on ride-sharing and delivery services. CEO Fields told reporters gathered for a technology summit this week that there is a risk that auto sales will decline as autonomous technology moves from science fiction to everyday reality – especially in crowded urban environments. But the CEO and Ford Chairman Bill Ford insisted that their shift in focus – repositioning Ford as a “mobility services” company, rather than a mere automaker, will create new business opportunities. One example was the decision to purchase a major stake in Chariot, a San Francisco-based shuttle service. “This is very different thinking for us,” Fields told analysts on Wednesday. So far, Wall Street has remained skeptical. Ford’s shares are down more than 12% since the beginning of the year, and lost 1.94% in Wednesday trading, closing at $12.14. This entry was posted on Wednesday, September 14th, 2016 at and is filed under Automobiles. You can follow any responses to this entry through the RSS 2.0 feed. Both comments and pings are currently closed.